Costco does not manufacture mattresses themselves, but they still sell them. As a matter of fact, there are brands that are sold exclusively in their stores, meaning you can’t buy them anywhere else. Available mattress types include latex, memory foam beds and innerspring. You can look through such selection of Costco mattresses at their web portal, which can be conveniently be filtered by size, material, brand or type. A high-quality mattress is expertly constructed and designed for total comfort for a soothing pressure-relieving support and exceptional durability. You can be looking for an adjustable queen mattress, space-saving twin mattress, or a luxurious, roomy California king mattress. Such and more choices are listed on Costco’s web portal. That being said, we chose these five Costco mattresses to be the top five mattresses from Costco. Serafina Pearl is one of six different mattress models sold under the Novaform brand. The Novaform 14’’ Serafina Pearl Queen Firm mattress has a comfort system with a top layer of gel-infused foam and a bottom layer of convoluted polyfoam. The support core is made of high-density polyfoam, and the cover is quilted. Novaform mattresses are primarily sold through Costco. Novaform prides in offering the market custom-designed mattresses meant to reduce constant tossing and turning and helps you sleep better along with creating the perfect posture for your body. The mattress is designed with an extra layer of support so that in any position, the body posture is not harmed. The body is made to balance the weight of a person evenly so that not a certain part gets the stress. It has a ventilation system so that the mattress does not remain stuffy in the winters and hot in the summer. The Serafina pearl has three layers. The second layer is 3 inches of CustomWave foam which helps in better support and ventilation. CustomWave foam responds and adapts to motion, so that you get the comfort and support you need. The top 3 inches are filled with ComfortLuxe Gel-Pearl that produces a cooling effect when needed, staying up to two times cooler than the memory foam counterpart. The bottom 8 inches offer stability and a lasting feel to the mattress. With these three layers it makes the mattress adapt to your body contours which in turn eliminates pressure points. With less tossing, you are bound to experience a good night and a refreshing morning. Novaform 14’’ Serafina Pearl mattress is one of those mattresses that limit the impact of your partner’s movement. It is quite uncomfortable sleeping on a mattress that shifts your partner to your side whenever you turn. Its main focus is to eliminate sagging and sinking prone to most of the foam mattresses. The support is stable enough, thanks to the 8-inch thick base layer. This enhances the longevity since it can hold a heavier person sleeping without wearing out easily. Ventilation and breathability is a crucial matter in mattresses since it helps avoid excess heat and moisture accumulation. It also helps maintain airflow that eliminates odors in the mattress and allows users to sleep well. The ventilation mechanism employed in Novaform Serafina Pearl Queen mattress ensures there is constant aeration, so users won’t get into the stuffy and muggy feeling after waking up. This also helps in choosing a mattress for the hot weather. The Serafina Pearl mattress is one of the latest Novaform models and delivers an impressive firmness and comfort. The three foam layers enhance the overall comfort of the mattress. Novaform 14″ Serafina Pearl Queen Firm mattress is slightly firmer than most of the foam mattresses on the market. Even with the extra firmness, it still manages to deliver a comfortable sleep with better breathability. On a scale of 1-10 (10 being firmest), the Serafina Pearl mattress scores a 7.5 in terms of firmness. – The Gel-Pearls is geared to stay up to 60% cooler than conventional memory foam. This translates to much better heat regulation when you sleep. You are less likely to wake up with sweat on your neck or your T-shirt. – You experience an advanced spinal alignment while sleeping on the mattress because the weight is evenly distributed. Therefore, you are more likely to experience a comfortable sleep, with no toss and turns. The spinal alignment factor helps to limit the back problems. – The convoluted foam layer under the memory foam prevents the dreaded sinking-foam problem. The 14’’ Novaform Serafina Pearl Queen mattress holds its shape and creates the precise ‘floating’ feeling that memory foam is so renowned for. Also, this layer enhances the breathability by promoting airflow that keeps you comfortable when you sleep. 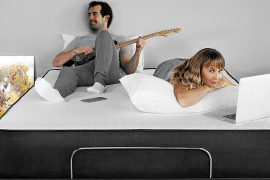 – One of the unique things about this mattress is its long-term durability. The sturdy construction factored in longevity, which serves the sleeper for a long time. Its average lifespan is 7-8 years, which is decent enough for a foam mattress. However, lifespan might range depending on the weight placed on the mattress. – The company gives a warranty of up to 20 years to make sure the customer has a satisfactory buying experience. The warranty covers malfunctioning body contours and any other malfunction that may arise. During our test, we felt that this mattress can really accommodate side sleepers best but back and stomach sleepers might not like the amount of sink in from a 6-inch comfort layer. That being said, at this price point this mattress is still a good buy so we give it 7.8 out of 10. 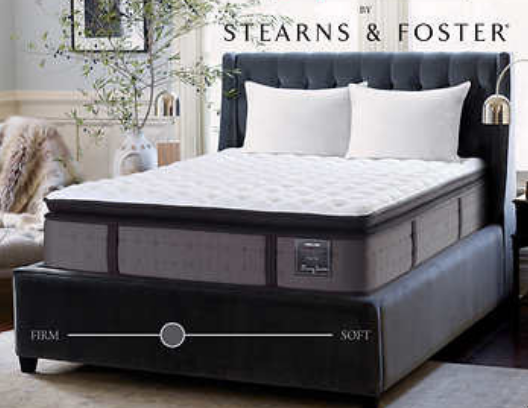 Stearns and Foster is among the leaders in luxury mattress manufacturer and has been in operation for decades. The heritage of this brand dates to 1846. 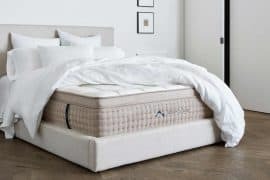 Stearns and Foster mattresses are innerspring, and hybrid and they use high-end materials and authentic craftspeople to manufacture. 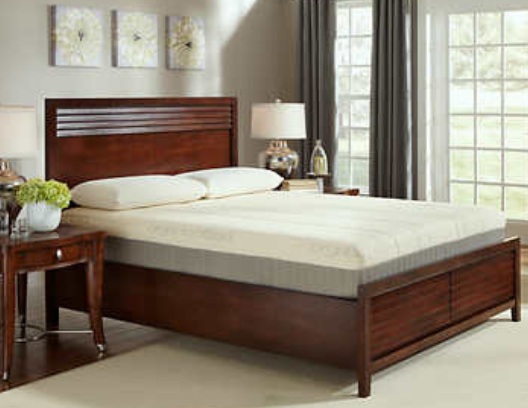 The Kirkland Signature by Stearns and Foster sets a high bar for a luxury mattress. At its core is the exclusive IntelliCoil Advanced, with an innovative design that constantly adapts to a person’s body shape and movement to deliver the perfect level of support. Stearns and Foster aim for top-notch craftsmanship, and it only hires certified talent that have been trained to focus on even the nitty-gritty details so that customers can enjoy the luxurious comfort. Kirkland Signature mattress by Stearns and Foster Hope Bay is constructed to meet the gristliest quality assurance tests and standards which ensures long-lasting durability. The mattress is equipped with slow responsiveness for a soothing relaxation whenever you lie down on it. This is an exclusive technology by Stearns and Foster. It is a unique coil construction which makes sure that varying support for various kinds of sleepers are catered for. The outer coil system is for the durable comfort while the inner coil system contours the bedding surface by the body weight and shape of the person sleeping to further enhance the enveloping support. This is an exclusive Stearns and Foster formulation geared to provide a person sleeping with adaptive comfort together with additional longevity. Its slow responsiveness ensures indulging relaxation. It is featured quick recovery time to ensure you get out of bed or move on it quickly. PrecisionEdge System is a world-class innovative setup of coils that keep the foam’s supporting traits even better than the hard foam edges. This mechanism also improves the breathability of the foam and enhances its longevity. For extra support even on the edges, Stearns and Foster integrated the coils system furthest to the excellent bed surface. The air vents boost airflow within the mattress to keep it breathable and for an expanded period. When sleeping, a person won’t feel hot and in the morning a person won’t feel sticky. 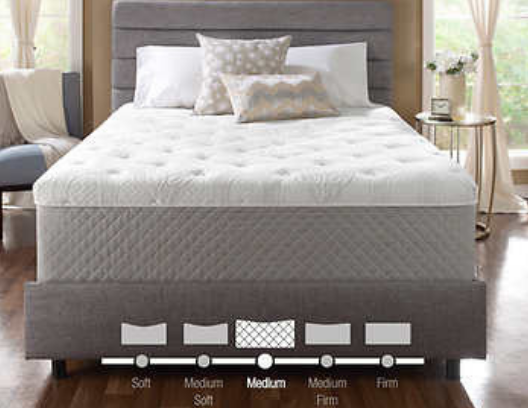 To add to other layers and the coils system, Kirkland Signature mattress is also equipped with Smart-Align Latex. This is a foam latex which contributes towards enveloping a person sleeping and enables the foam to provide an excellent responsiveness, so a person can’t feel that sinking feeling when trying to move during sleep. The Pillowtop Support layer is an innovative layer with micro coils for that additional durable support that you need in a pillowtop. It ensures improved conforming comfort and long-lasting sag-less relaxation. Kirkland Signature mattresses by Stearns and Foster Hope Bay are designed for all types of sleepers. You don’t have to worry about which sleeping position would be best comfortable for you. The PrimaCool Elite Gel memory foam has the capabilities of conforming and contouring to the body and provides you with fresh sleeping environment. 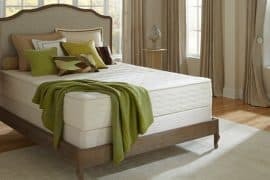 The cover of Kirkland Signature mattress by Stearns and Foster is stretchable fabric, and being a luxury mattress, the fabric is also nice looking and very rich and soft to touch. The blend includes Tencel material which helps the fabric breathe and wick moisture from the bed. The cover can have additional stretchable qualities to better compliment and contour the mattress tops. Kirkland Signature mattress adds another layer of gel foam to further promote the cradling comfort of the bed. The gel foam is employed to make the mattress be cooler always, since the gel possess the ability to help sway heat away, so the person can sleep cooler in hot environments. Stearns and Foster mattresses are among the thickest and tallest in the market and Kirkland Signature is no exception. The mattress is available from 13 to 17.5 inches thick with popular one being 14.5 inches thick. It can be difficult for some people getting on and off the mattress considering the thickness level, especially for shorter people. You can arrange for a low-profile foundation to help reduce the bed’s overall height. Kirkland Signature mattress is heavy. A Heavy mattress has the advantage of staying in place on its base and the disadvantage of being difficult to lift, handle and transport. The motion base is a unique feature in Stearns and Foster mattresses. 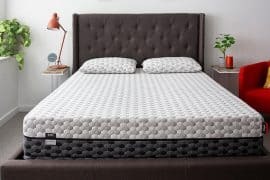 There are two adjustable base models to give you more options for using a mattress, from sitting in bed to reading or working, or sleeping with your head or legs up, etc. Some even have added features like massage. During the testing of this mattress, almost everything felt in place. From the edge support to the coolness and comfort. The only thing is that it is still priced a little high for its materials so we give this mattress a 8.0 out of 10. The Sleep Science 9’’ Natural Latex mattress by South Bay International manufacturer is an all-latex mattress currently sold only through Costco. The body material is pure latex. Generally, commonly accepted usage would blend latex from rubber tree sap with synthetic latex, but no synthetic rubber is used here. Sleep Science 9’’ Natural Latex mattress is highly resilient with great comfort, support, and conformity. It has superior natural latex breathability that helps to keep your body warm in the winter and cool in the summer. The construction is simple, with just two bonded layers and the cover. The layers are made of Talalay latex and bonded with a water-soluble adhesive. The bottom layer is 6 inches of support latex foam which provides basic support for the whole mattress, with a higher degree of resiliency than the comfort layer. The 3rd upper layer is not as firm as the support core. The stiff bounce of support latex holds the body weight of the sleeper while the layer above it does the cushioning. Latex does not leave the sinking feeling characteristic of memory foam and is pressure-relieving. The cover consists of 37% organic cotton and the rest is a blend of polyester with 2% spandex. Latex is obtained from rubber and rubber is flexible and elastic, translating to incredible flexibility and great comfort to the Sleep Science 9’’ Natural Latex mattress. Latex is neither too soft nor too hard, and the natural resilience offers the perfect resistance to the weight of the body in every position. It won’t matter what position you sleep in, latex ensures you are in shape. Due to its progressive comfort mechanism—the greater the pressure applied on the mattress, the greater the support it offers. Sleep Science 9’’ Natural Latex mattress is a great body contouring, keeping your back and spine perfectly straight. If you occasionally sleep hot, you would be uncomfortable sleeping on synthetic latex mattresses because they retain body heat and warm up. Mattresses that don’t keep cool are uncomfortable and interfere with sleep quality. Sleep Science 9’’ Natural Latex as the name suggests, is pure latex, which has open cell structure which makes it highly breathable, keeping you cool throughout your sleep. It doesn’t retain heat and manages to keep cool even on warm nights. Latex is one of the coolest beddings you can find today. Latex is naturally elastic thus it provides excellent responsive firmness to the body’s natural curves and movements, keeping your back and the sine straight. It also provides greater muscle relaxation and pressure relief, helping you sleep easily and improving circulation. Those suffering from back problems or certain aches and pains would ideally benefit from Sleep Science 9’’ Natural Latex mattress. Since latex only compresses in the point of contact, it has minimal motion transfer and there is little sinkage and bounce, thus partners in bed will sleep without disturbance. Highly resilient with great comfort, support, and conformity. This mattress had some of the coolest most comfortable sleep for us but at the price of $2399 you would expect to get more than 9 inches of latex so we give it 7.9 out of 10. Sealy Posturepedic Response Premium West Salem Cushion Firm mattress belongs to a group of Innerspring mattresses. The response line innerspring mattresses respond to your movement and the level of support is good, thanks to the Posturepedic Technology. Advanced, precisely-engineered coil systems are used to promote proper alignment while delivering a “sleep-on-top” feeling. The exclusive Posturepedic Technology provides stable, allover support, with reinforced support under the heaviest part of your body, where you need it most. 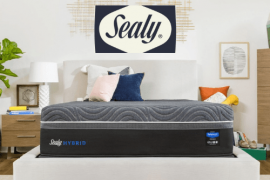 Sealy response premium is the top-of-the-line category, and its innerspring technology is up to par and with comfortable materials. 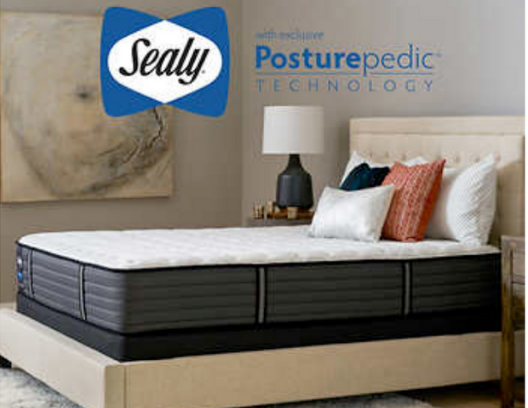 Sealy Response Premium mattress targets those looking for a good level of sleep thus employs SupremeLoft Covers, MoistureProtect technology, Boarder handles, AllergenProtect technology, New DuraFlex Edge System, Sealy Response Pro HD Encased Coil System and Border handles. 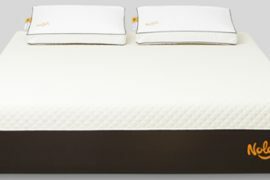 Sealy has updated the aesthetics of this model, with boulder colors, coupled with softer covers and more intentional design features. This is a significant update on over a century for Sealy mattresses. Sealy has worked with orthopedic specialists to ensure Sealy Posturepedic Response Premium West Salem Cushion Firm is not only comfortable, but also promote healthy and rejuvenating sleep. Beginning at the top, the SupremeLoft Cover with MoistureProtect and AllergenProtect Technology incorporates a high-grade fabric that is designed to draw moisture away from your body to protect against dust mites and dander for a clean, fresh sleeping space. All comfort materials are CertiPUR-US certified, which proves they are made without harmful chemicals of any sort. Comfort foam includes a layer of Sealy Cushion Air Foam, which provides initial cushioning comfort, and has an improved design that encourages better airflow. The integrated cooling gel and an encased coil system means better temperature management overnight and more support in the areas that count. Sealy Posturepedic Response Premium West Salem Cushion Firm is helpful to those who sleep warm, which can result to a miserable night’s sleep. The integrated cooling gel is made to prevent you waking up in a pool of sweat so you won’t be tossing and turning during warm nights. A layer of Sealy Support Foam acts as a foundation and gives the mattress its firm underlying feeling. The premium’s presence of memory foam, although limited to 0.5 inches in the lumbar area tends to result in fair or better pressure point relief. The one-inch SealySupport ultra foam layer is infused with cooling gel for maximum support. This layer placed on top of the lower foam layer ensures you won’t sink deeply into your mattress, while still you gain the full benefits of the cooling gel. Allergy suffers will feel much better on this mattress thanks to Sealy’s Allergen Protect hypoallergenic mattress cover. The company has your back as it offers a long 10-year warranty to cover you against any damages from manufacturing. During out test for this mattress, we found it to be well temperature balanced. The integrated cooling gel is helpful to those who wake up in a pool of sweat or keep tossing and turning during warm nights. The special cover prevents you from being infected with dust mite-related allergies. Thanks to the ventilation capabilities of Sealy Posturepedic Response Premium West Salem Cushion Firm mattress, moisture is prevented from piling, leaving you to cool comfort. The Posturepedic Technology means that the coils under the middle third of the bed are a little thicker. This provides more support under the torso area where you need it most. Thanks to the Posturepedic technology, the parts of the mattress that sag the fastest is reinforced which helps protect your spine. This translates to a more durable bed and better posture without any added effort. This Response Premium Mattress focus is on the back comfort, so that to eliminate aches and pains when sleeping. Though a small detail, side handles really do make it easier to move the mattress should the need arise. Having handles on your mattress takes away some of the huffing and lugging out of the process of moving your bed. The edges of a mattress can be saggiest, which makes it easy to fall out of bed as you find yourself going downhill. With the Duraflex Edge System, however, the Sealy Posturepedic Response Premium mattress is wholly firm, saving you an unexpected tumble and fall. If you are the type the side of your bed is the spot where you slowly awaken from your slumber, this is the mattress you might be looking for as you will toss and sit to your pleasure. If you are the type to like to sink in the mattress then this bed may not be for you. This mattress has a responsive bouncy feel with very little sink in. 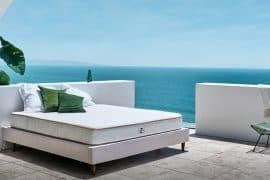 Coil mattresses in general last less than other mattress types but at least this mattresses utilizes the Posturepedic technology to make the bed last a little longer. Sealy Posturepedic Response Premium West Salem Cushion Firm mattresses are reputable with majority of buyers, and comes with a price tag to match, as the packed comfort features and expert craftsmanship do come at a price. Considering the make of the mattress and all the extras that come with the Sealy Response Premium, you’d be getting a value for your money. Considering that this mattress comes with so much for the price tag of $599 in queen and also the testing this mattress we found no major flaws, we gave this mattress a 7.6 out of 10 for overall rating. Simmons Beautyrest Salina Silver Hybrid Plush is Simmons’ mid-priced mattress providing at least two inches of memory foam. It belongs to a collection of the Simmons Beautyrest mattresses, which are a result of many years intensive research. You are treated to an energy foam base for exceptional stability, the signature pocketed coil support system for remarkable motion isolation, and DualCool fibers intelligently laced with natural silver to let you maintain an ideal body temperature. Beautyrest Salina Silver Hybrid Plush is the next generation of Beautyrest advanced sleep system. The company delivers the comfort of memory foam with the optimal contouring support of pocketed coil technology. By bringing these exceptional technologies together into a single system, this mattress provides energizing sleep consumers are looking for. This plush yet supportive mattress encompasses hundreds of plush, individually pocketed coils to deliver nights of undisturbed sleep. The coil system is supportive of your back, adjusting independently to the weight and contour of your body, therefore reducing the transfer of weight and movement from one side of the mattress to the other. The mattress DualCool technology fiber is enhanced with silver, which has antimicrobial properties, to prevent the growth if stain- and odor- causing bacteria, mildew and mold, which helps keep the mattress fresh. Furthermore, it directs heat away from the surface of the mattress to maintain an ideal sleeping temperature. The Aircool gel memory foam layer provides pressure relief, promotes freedom of movement as well as maintaining a comfortable sleeping temperature. This is a high performance stretch knit fabric that stretches to allow the memory foam layers beneath to conform to your body. The mattress is covered in a luxurious EvenLoft stretch knit fabric that provides a smooth, even surface that conforms to contours and enhances motion separation. Supports and enhances free flow of air through the mattress, with 30% more perimeter support for a more stable seating edge. Energy foam is a polyurethane foam that provides extended deep support for your body in combination with its succeeding innerspring layer, to make sure that the right posture is maintained throughout the night. By having a stiffer type of foam between the plush viscoelastic upper layers and the tough steel coil layers, Simmons ensured that the former does not end up being damaged by the latter due to continuous impacts from your body. 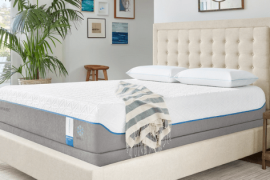 Memory foam comfort is the ultimate conforming support and comfort provided by Simmons Beautyrest Salina Silver Hybrid Plush mattress in addition to the advanced memory foam technologies, and Evenloft cover. The top memory foam layers help you sleep comfortably all night long thanks to the advanced temperature management technology. Conforming back support, brilliant motion separation, excellent durability and a noticeably responsive feel from hundreds of individually wrapped coils that adjust independently to the weight and contour of the body. Simmons Beautyrest Silver Hybrid Plush mattress has a good edge support allowing a person to sleep or sit comfortably and securely near the edge of the bed without rolling or sliding off. Ventilated Dynamic Response Memory Foam provides conforming back support and comfort. Hundreds of Beautyrest’s individually wrapped, pocketed coils adjust independently to a person’s weight and person’s body contour. 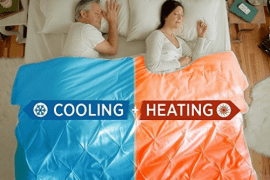 Simmons effectively managed to deal with heating problems that normally arise with the use of lots of memory foam in a mattress by integrating heat dissipation mechanisms into the foam at the molecular level, for example, the DualCool with its silver crystals. Then there is the SurfaceCool fiber as well as the AirCool BeautyEdge boundary with small holes for ventilation. 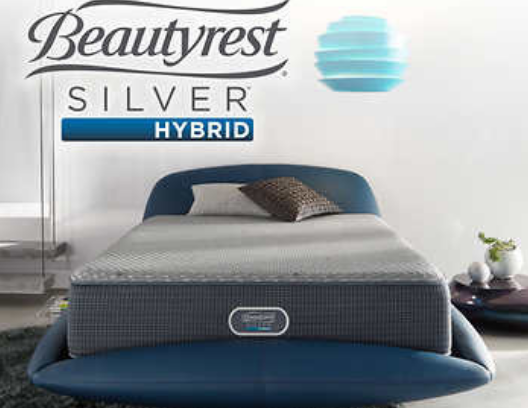 Beautyrest Salina Silver Hybrid Plush innerspring core enhances the air ventilation of the mattress by its very design. Expect a comfortable feeling in Beautyrest Silver Plush mattress firmness level as a result of the durable 13 to 15-gauge thickness of the innerspring pocketed coils used. If you are a borderline overweight or obese person, the Silver Plush firmness will also support your weight and it’s durable enough to get you along for several years to come. Beautyrest Silver Plush mattress is compatible with Simmons’ SmartMotion Bases. These are adjustable bases that let you specify your bed profile to match your activity like reading, playing video games, or just sleeping. They also feature a massager and various preset positions for healthy sleep and even come with a smartphone app to track the quality of your sleep. 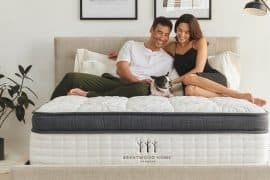 Simmons is a good brand, no problem there, the only thing that we found during the testing of this mattress is that it may be too soft for some people. Even if this mattress is designed to be soft, we felt that its support wasn’t as good as a $1299 mattress should be but its still a good bed so we give it 7.3 out of 10. Items returned through Costco.com will be refunded in full – including shipping and handling fees – and will be credited to the credit card used to place your order. For an immediate refund, simply return your purchase to any Costco location. To find your nearest location, please visit their warehouse locator. Prior to your order shipping, you’ll find the estimated delivery time frame of your package listed in your Order Confirmation email. Order tracking is available on many Costco.com orders. If you’d like to track your order, follow the simple steps: Select the Order Status link–it’s near the bottom of the home page. Standard shipping via White Glove furniture carrier is included in the quoted price. Delivery includes in-home setup and removal of packing materials. Carrier will call or email to set up an appointment with delivery window. Become a member to be eligible for the Costco finance option of Credit Card. They do have a Costco-branded Visa card from Citibank, which will allow you to extend payments on anything you buy with the card, but there is no Costco financing of purchases. And to be clear, they accept ALL Visa cards, so if you have any Visa-branded credit card you can extend payments on anything you buy at Costco. 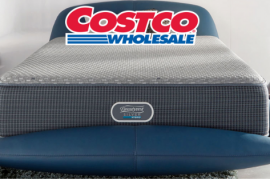 Does Costco offer returns on mattresses? Yes, It depends on the mattress brand, but Costco offers returns on its mattresses. Do I have to return the mattress in case of return or donate it? You have to return the mattress to the local store yourself. Costco will not refund you if you donate the mattress, though that would help someone in need. Are all the mattresses on the website available in my local Costco store? Costco’s stock fluctuates so its better to call first before you try to pick up from your local Costco. What are Costco's holiday closures? Their U.S. warehouses are closed on the following holidays: New Year’s Day, Easter, Memorial Day, Independence Day, Labor Day, Thanksgiving, Christmas. How can I buy a membership at Costco.com? To purchase your membership online, browse your membership options. You can choose from Executive Membership, Business Membership or Gold Star Membership. Can I try the mattress from Costco? In most cases no. Costco would have the mattress in a box and you would have to pick it up to purchase it if you didn’t order it online. Some brands may have a display in some Costco stores like Tempurpedic. Does Costco offer foundations that go with their mattresses? Costco does not sell box springs on their website, but your Costco might have them (we never saw one that does). However, Costco does sell foundations like adjustable bases and metal platform beds. 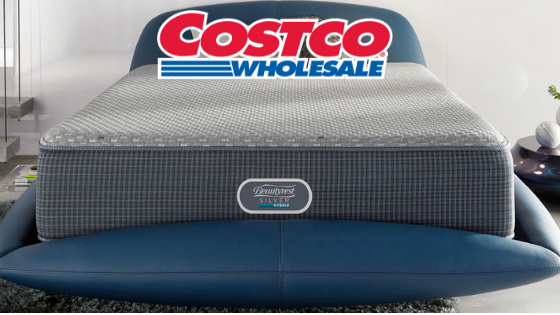 Costco offers an impressive selection of mattresses, which can be conveniently filtered by size, brand, material or type. Costco is not a company that focuses on mattresses so some bed-in-a-box companies may offer a more specialized sleep experience. This means that when buying a mattress from Costco you have to put your trust in the brand of the mattress and not think that since it’s on the Costco website it must be good. Still, Costco is a very convenient place to get a mattress.